If you are vaping with the HorizonTech Falcon Tank, you know how versatile and performance-savvy this tank is. One of the best features is having the glass bulb extension that can take your tank up to a maximum of 7ml, which is an excellent addition that adds further options to this powerful tank. This replacement bulb has been created using highly durable glass for longevity, and it’s an absolute must-have if you’re vaping with the Falcon Tank. 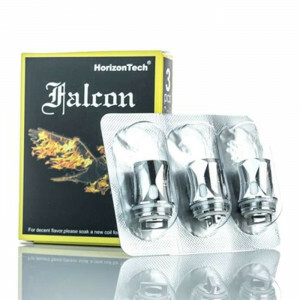 Get your HorizonTech Falcon Tank Bulb Replacement today from VaporFi!